As part of the jazz band program, a big part of learning the music was being able to listen to a recording to hear what it was really supposed to sound like. The website provides a place for audio clips to be downloaded. 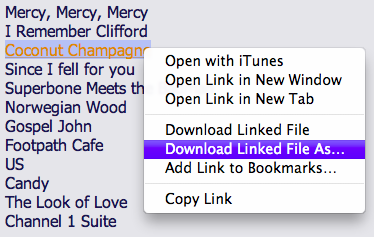 On the individual band pages, all song names are links to download the song.